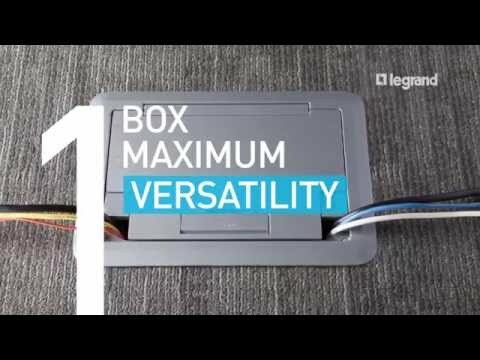 Evolution 4- and 5-Gang Series floor boxes are just some of the latest advancements in open space solutions from one of the most innovative manufacturers in the industry. Features such as one box that works in three different floor types (concrete, raised and wood floors), and max. capacity in front and behind the device plates, make it ideal for installations such as commercial office spaces, and conference rooms.